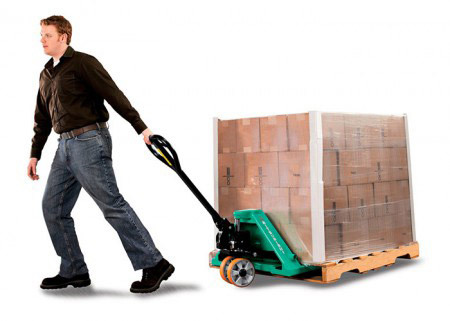 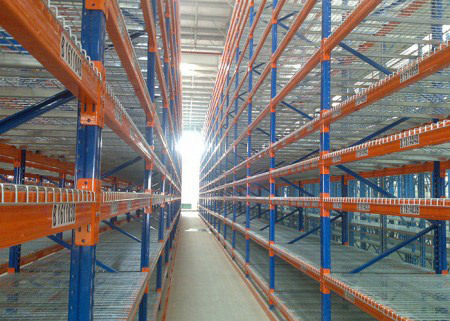 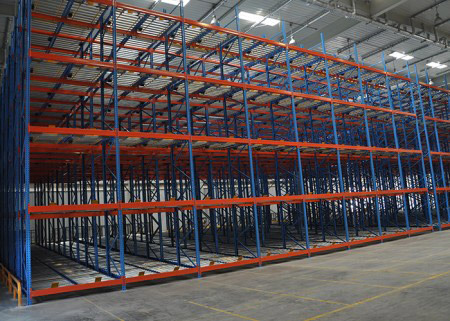 Gravity flow pallet racks usually consist of upright frame, beam, rail, dolly, buffer etc. 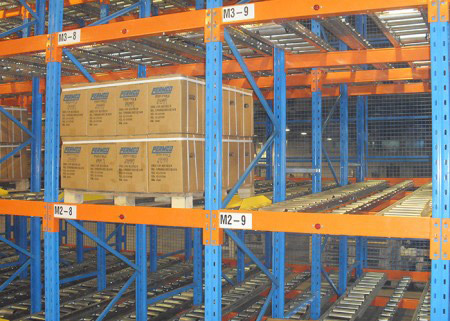 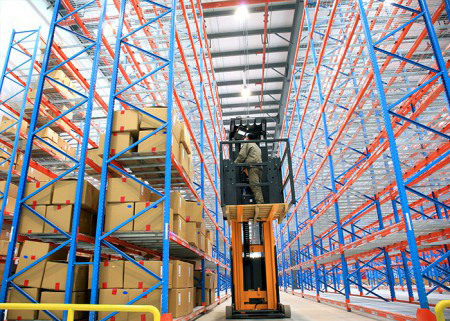 Load capacity usually within 1000kg / pallet.Comparing with selective pallet racking, gravity flow shelving can save space up to 60%, but uses the same fork lifter and same aisle. 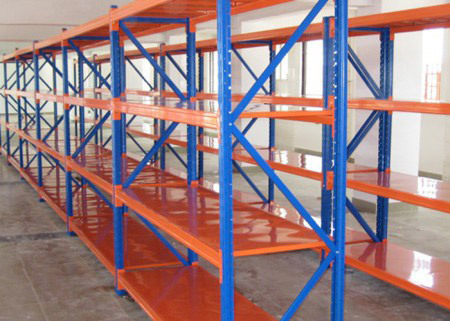 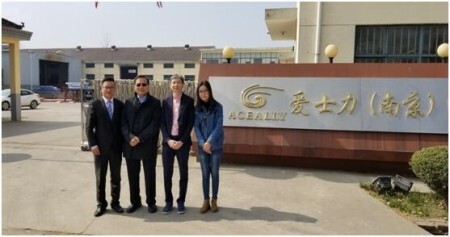 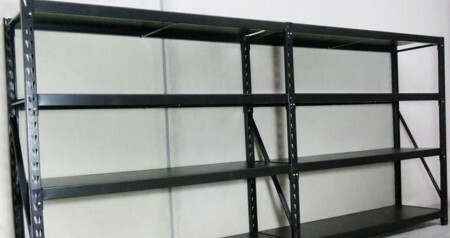 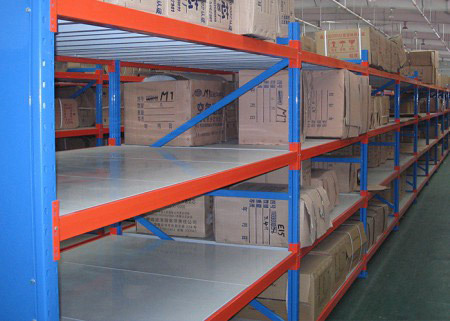 Carton flow racks are also called self-gravity shelves, roller-type shelves, which belong to heavy-duty shelves and are evolved from tray-type shelves. 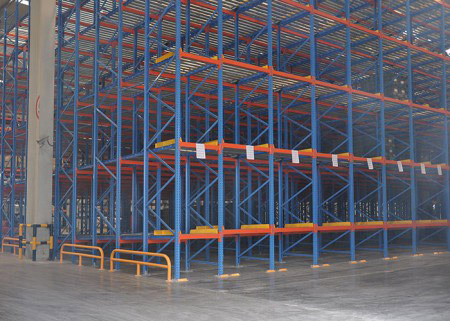 Flow rack system use a first-in, first-out storage, which is suitable for small varieties, large quantities, and the Similar kind of storage of goods.Gravity rack systems are high density pallet storage systems that utilize depth to increase capacity. 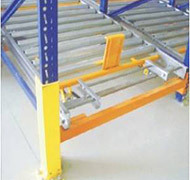 The goods slide from the high end of the deposit to the low end, and removing from the low end.During the sliding of the cargo, a damper is arranged on the slide way to control the speed of the cargo to keep within the safe range.A separator is provided at one end of the chute, and the handling machine can smoothly take out the goods at the first board position. 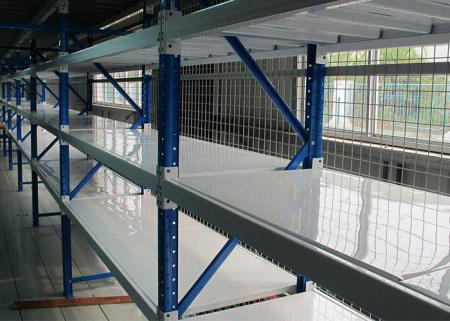 Gravity Rack Frame: Frame consists of upright, horizontal bracing, diagonal bracing, base plate and accessories, it’s the mainly bearing parts of gravity rack system. 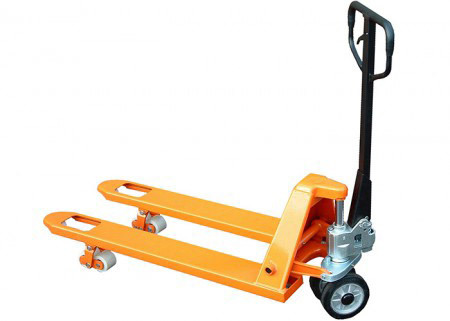 It has good stability of fixing with ground by expansion bolts. 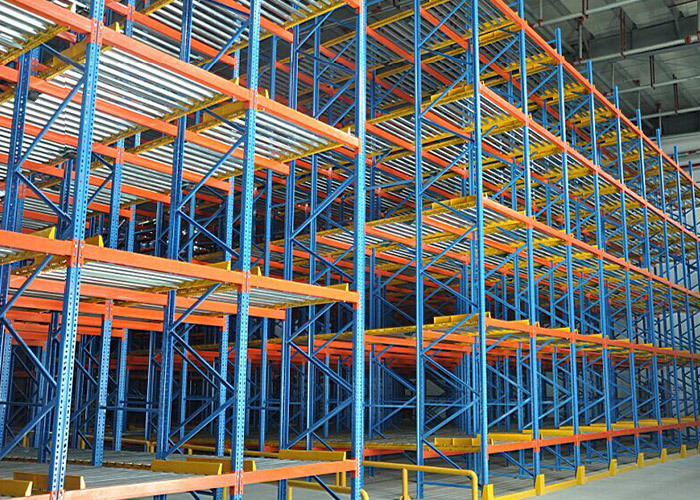 Upright section：rolling steel 80*60*2.0/90*65*2.0/90*70*2.0/100*70*2.0 Horizontal section：C40*24*1.5/40*29*1.5 Row spacer section：tube beam 50*30*1.5 Base plate：3.0mm steel Gravity Rack Beam: Both heads are welded with hooks ,which ensure the bearing strength.And equiping with safety pin to ensure the safety. 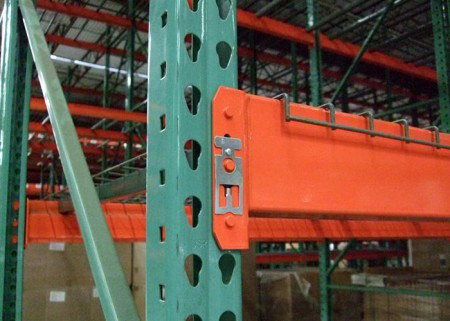 The beam can be adjusted up and down at 75mm pitch freely. 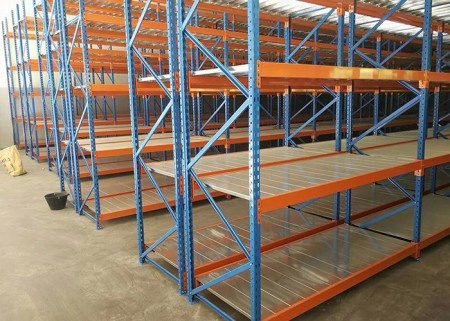 Beam section：tube beam 80*40*2.0/100*50*2.0，box beam 80*50*1.5/100*50*1.5/120*50*1.5 etc. 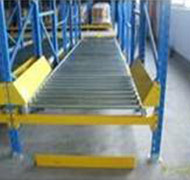 Gravity Rack Guide Plate: Installing the guide plate in the entrance tray in order to ensure pallet slide into the tray smoothly. 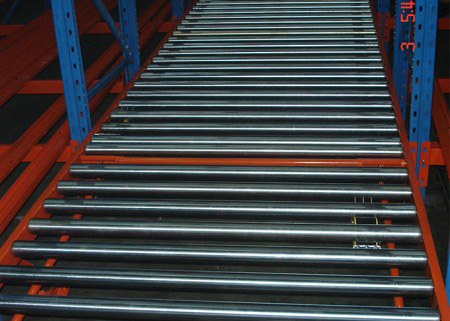 Gravity Rack Conveyor Roller: Generally it’s long roller with high efficient repression sealed against dust and with quality free-maintenance bearings. 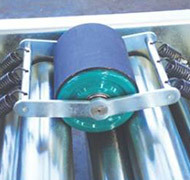 Roller life of 300,000 times, daily use of free-maintenance, so the whole system can maintain a long service life. 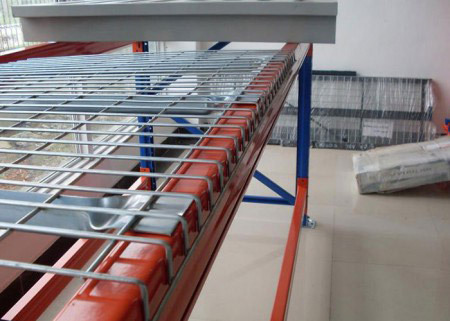 Roller Section：φ60*2.0mm seamless pipe Gravity Rack Damper Divice: Also known as damping roll or speed controller, which commonly used for the external structure installed under of the drum.Through stretching the spring firmly attached to the drum to achieve a tray speed control. 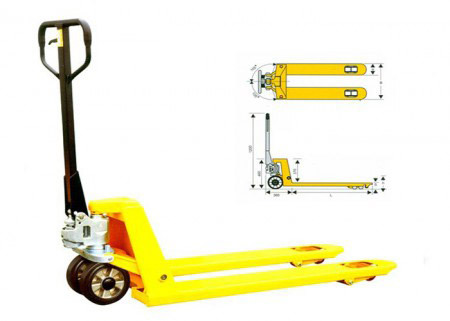 The damping force can be selectable and can be adjust within the range of 100kg. 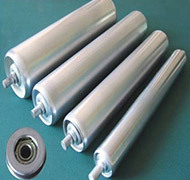 Material of Damper：High-strength Nylon. 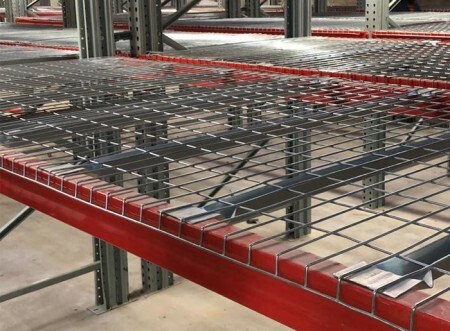 Gravity Rack Seperator Device: It also known as seperating means and is to solve the accumulation pressure between the pallets in the tray.the seperating can help to seperate the pallets safely. 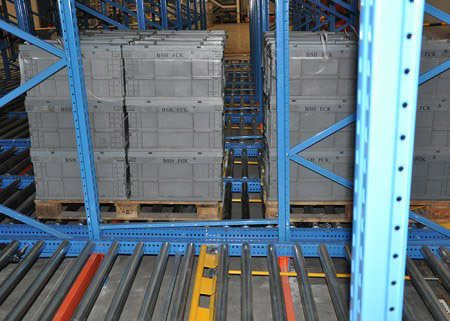 For example,the declining pallet (1st pallet) depresses seperator’s braking lever to lift the barrier, the barrier stops next declining pallet. 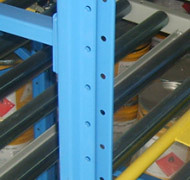 When the 1st pallet removed, the brake lever back to the normal positioin and the stopper fall to a low position, the 2nd pallet slide to the front automatically.